Athens may be blessed with a very convenient location when thinking of summer getaways and the Aegean islands, but during the winter choices nearby can be a bit restrictive. Trikala Corinthias in the Peloponnese is definitely one to explore if you're looking to get away from the urban smog and into the Greek mainland just 1h30m away from Greece's capital. Trikala is a village in Corinthia, in the Peloponnese peninsula of southern Greece. It comprises three settlements, Upper, Middle, and Lower Trikala, on the slopes of Mount Kyllini. Blessed with numerous hills, valleys and lakes, Trikala is a nice destination for something rather simple, short and sweet. For the more daring ones, Trikala also features a tiny ski resort on the top of mountain Ziria which (if you're lucky) can be a good drive up for checking out some snow! 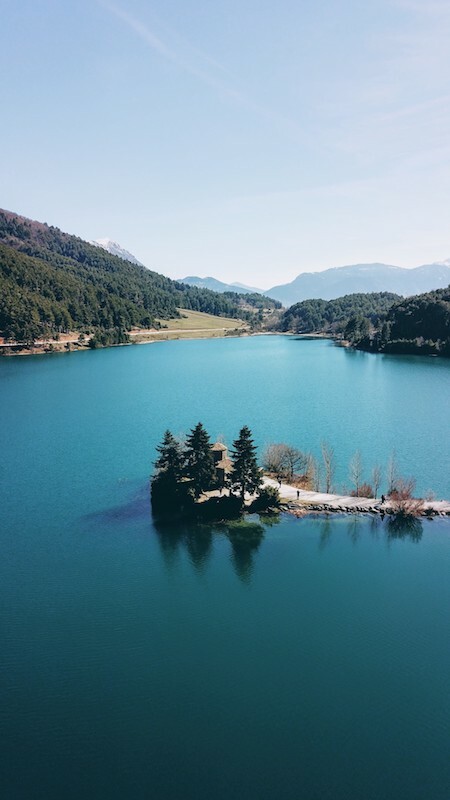 Lake Doxa is definitely the highlight of anyone's trip in the region, as it offers amazing landscape views and a stunning backdrop during any season of the year. Last time we were there, the snow on the mountain peaks was creating amazing reflections on the surface of the lake making for some unique shots! A small church dedicated to St Fanourios (famous to Greeks for paying tribute to when you've lost something!) is located right on the top of a small peninsula. As you walk down the tiny path all sorts of local merchants set up shop to greet any passers-by offering them their produce - ranging from handmade bread to cheese and honey. 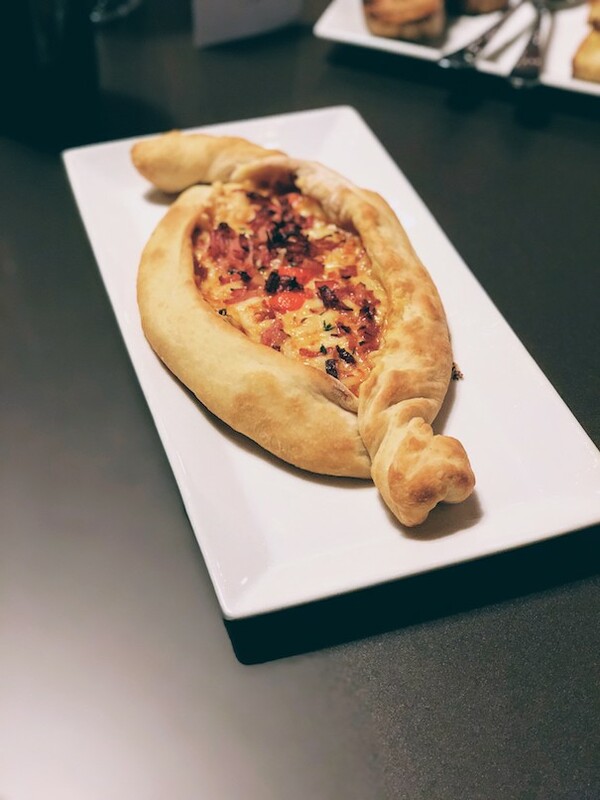 Most of the times, all of them are delicious but at times can also be a bit tricky in terms of quality so best if you first try! 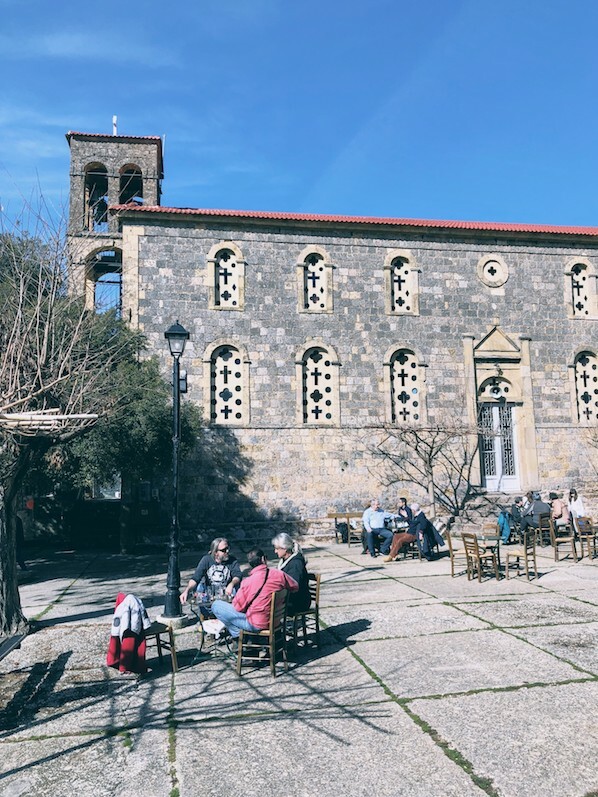 The small village of Gkoura is a nice stop for catching some sun by the main square and having a sip of coffee or any local spirit! 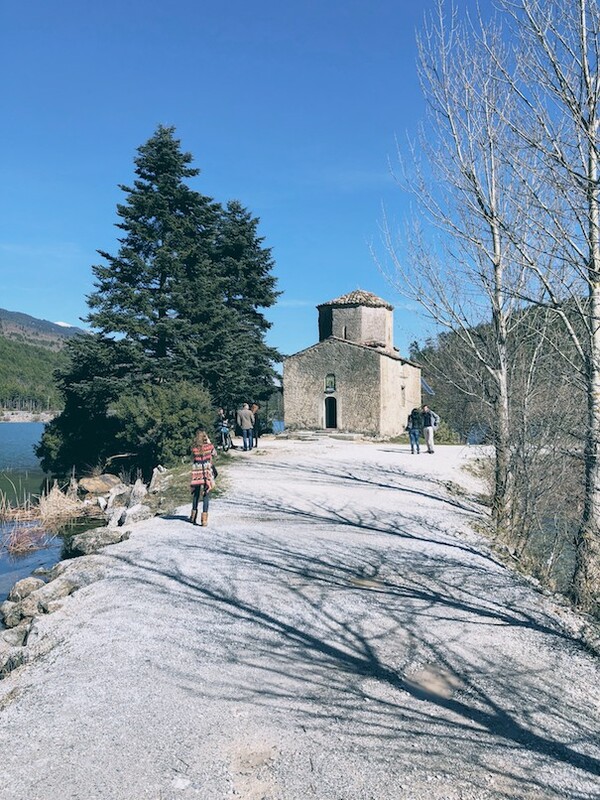 It's one of the few places where you can literarily catch some action around Trikala (and near the lake) so chances are you'd definitely be stopping by. Other than that you may want to opt for the closeby monastery of St George. When you're all out and done with the driving, you can salvage yourself at Pliadon Gi hotel and enjoy some nice spa or just a coffee by the reception. They also serve some nice food (see below) if you're up for it. As for the food around the area, there are a lot of good ol' Greek tavernas you can try. Stou Dekleri is definitely the one with the best food, serving some piping hot homemade dishes as well as meat off the grill - try their red sauce rooster with hylopittes, divine! And also indulge in some local grilled cheese, you'll be thanking me later. After satisfying your stomach needs, you may want to opt for Koukouvaya coffee & drinks place and unwind. The view from up there is amazing and the place's got a unique vibe for some Greek coffee, homemade sweets... and, later on in the night, some loud music and beats.